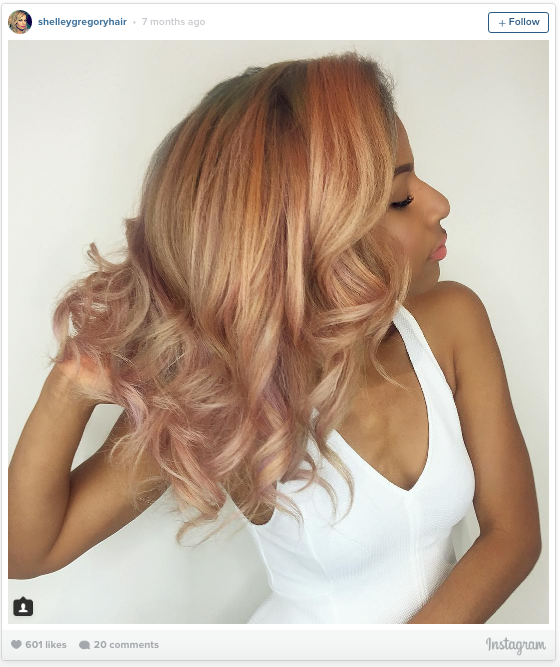 We were scrolling through the Mods Hair Merivale Instagram feed recently and we noticed one big beauty obsession: rose gold hair! This shimmering blend of red, pink, and blonde shades has been embraced by everyone from celebrities and everyday women alike who jumping on the trend and snapping their selfies. We reached out to the team at Mod’s Hair Merivale to find out more about this trend, and their predictions as to why it will be HUGE this summer! 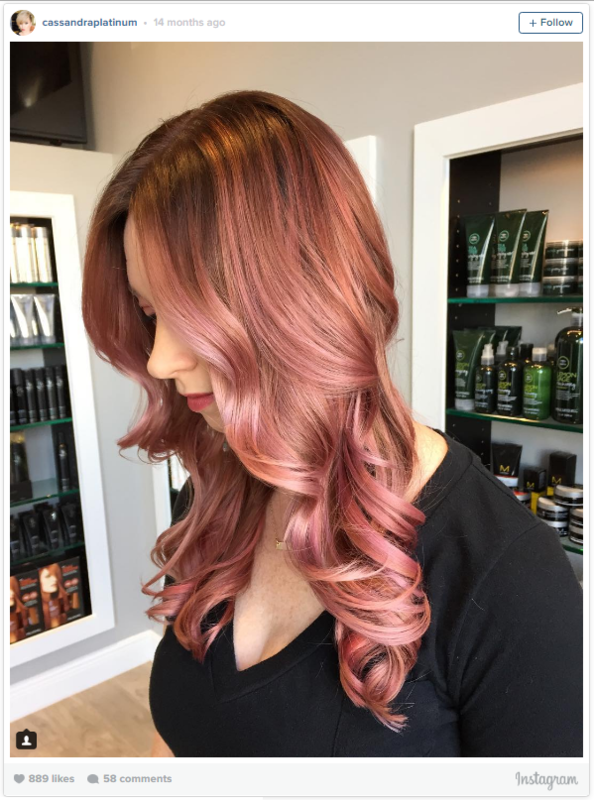 Mod’s Hair Merivale explained that like its jewelry counterpart, this hair colour is super flattering on all skin types – and that there is a rose gold out there for everyone. 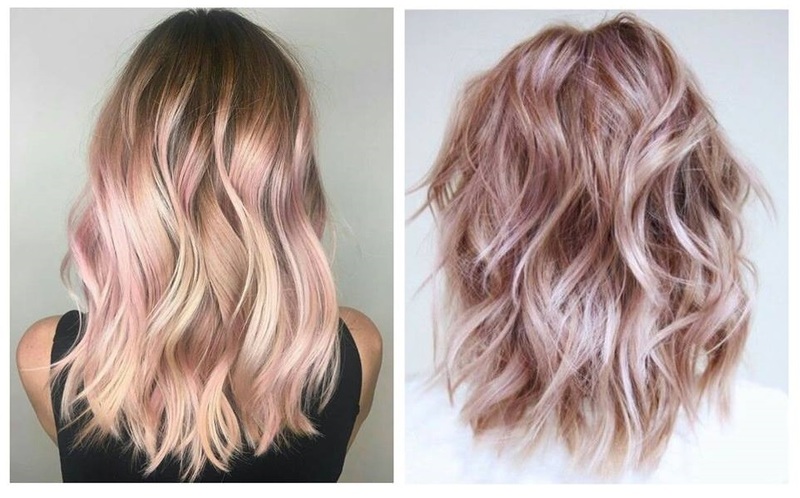 If you think this trendy hue might be the perfect spring/summer style upgrade for you take a look at the Mod’s Hair Merivale Top 5 Rose Gold hues, and let these inspirational pics help you decide! Okay, so this one isn’t quite a “gold” shade, but it certainly is rosy. 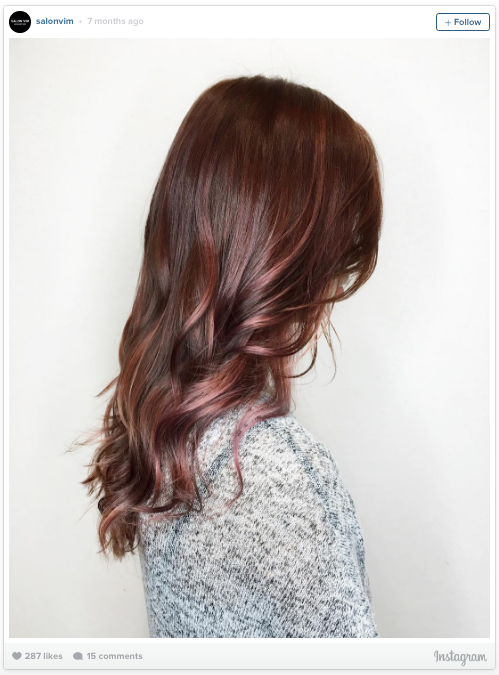 If you have brown hair and don’t feel like bleaching all your locks, Mod’s Hair Merivale suggests to opt for a few babylights of raspberry throughout your hair, particularly at the bottom, to snag this chic style. These big bombshell curls look extra beautiful with shades of magenta, coral and blush woven into the layers. 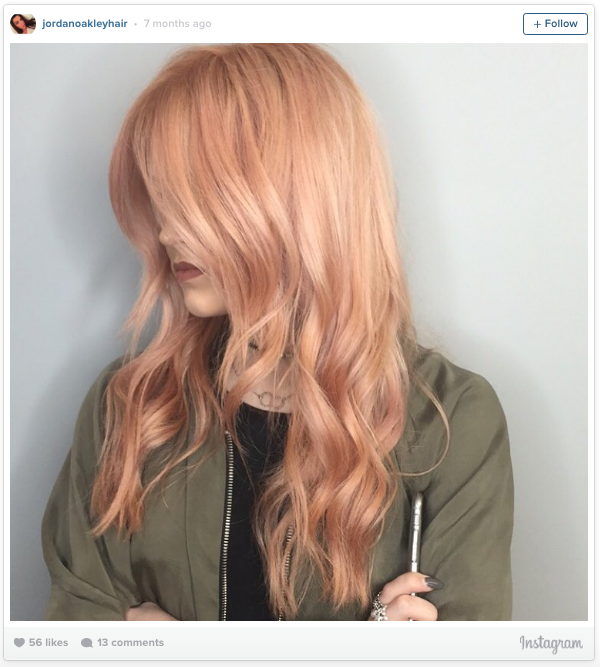 If you want to go the lighter route, opt for a pastel peachy-pink shade that resembles a milky strawberry blonde. Just be sure to ask your stylist about how to care for your pastel hair — you don’t want this gorgeous style to fade too fast! Pale peach and salmon shades melt into this stunning style for a look that’s more complex than platinum, yet subtler than pink. 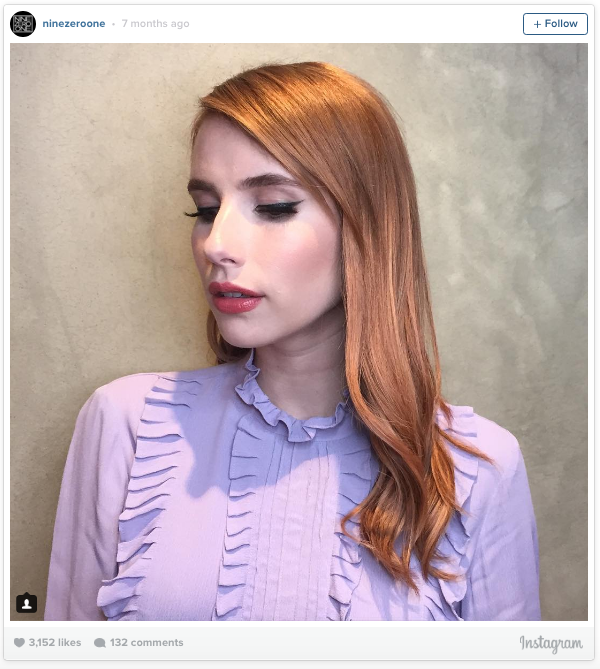 Emma Roberts’ take on the rose gold trend is full of old Hollywood glamour! We love this hair chameleon whose strands are inspiring countless fans. Ready to embrace the trend?! Book in your FREE consultation with a Mod’s Hair Merivale Stylist today via their online booking system!